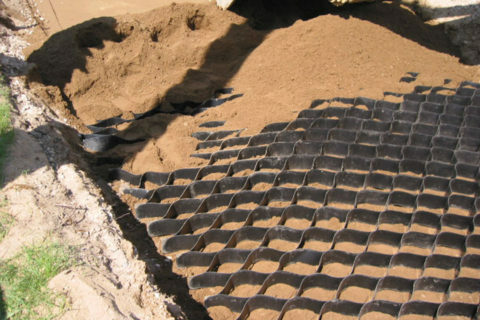 The geocells are high density polyethylene panels used for soil retention. 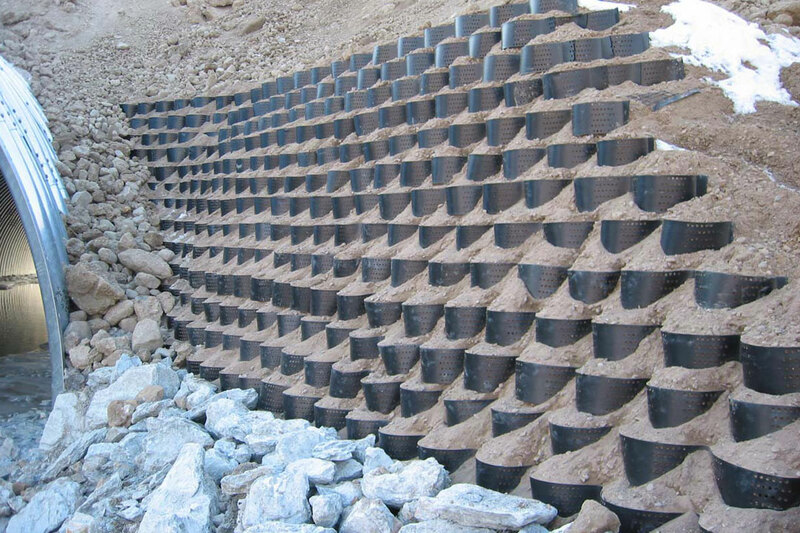 The three-dimensional structure of the cells confine the granular material and thus prevent any displacement caused by erosion or dynamic loads. This versatile material can be used for retaining slopes and embankments, reinforcing soil and road infrastructure and as a retaining wall.